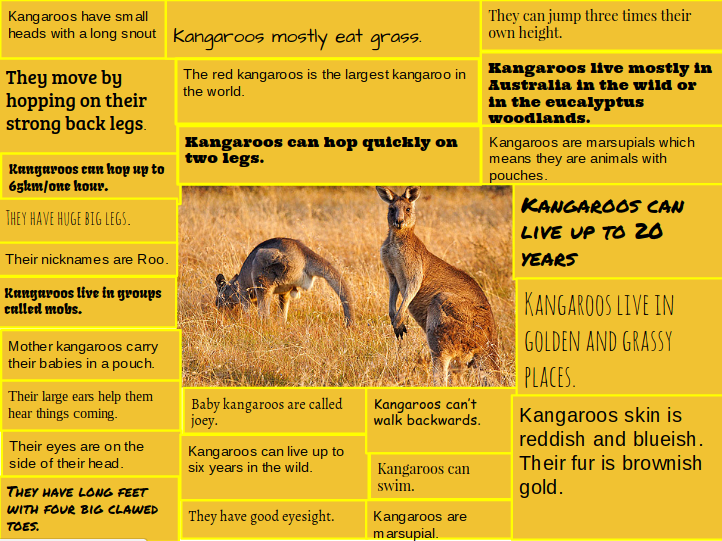 I learned that kangaroos are marsupials. They can't walk backwards. They live in groups called mobs. I love kangaroos but nice one. 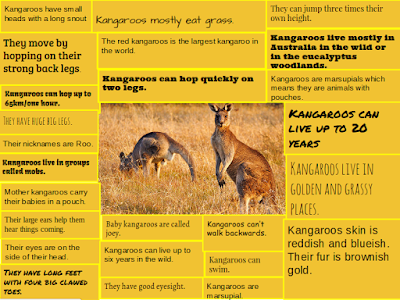 Kangaroos mostly live in Austrailain the wild or in the woodland.